Disputes can be resolved informally – by a handshake or preferably a written agreement to settle. They can be resolved slightly more formally through some mediated form of alternate dispute resolution. Finally disputes can be adjudicated and decided formally through the courts or an arbitration process. The following will help to explain the typical path you can expect to follow when involved in resolving a dispute. Dispute resolution is a term that refers to a number of processes that can be used to resolve a conflict, dispute or claim. Dispute resolution may also be referred to as alternative dispute resolution, appropriate dispute resolution, or ADR for short. Dispute resolution processes are alternatives to having a court decide the dispute in a trial or other institutions (e.g. – arbitrators) decide the resolution of the case or contract. Dispute resolution processes can be used to resolve any type of dispute including family, neighborhood, employment, business, housing, personal injury, consumer, and environmental disputes. Alternate dispute resolution processes have several advantages. For instance, many dispute resolution processes are cheaper and faster than the traditional legal process. Certain processes can provide the parties involved with greater participation in reaching a solution, as well as more control over the outcome of the dispute. In addition, dispute resolution processes are less formal and have more flexible rules than the trial court. 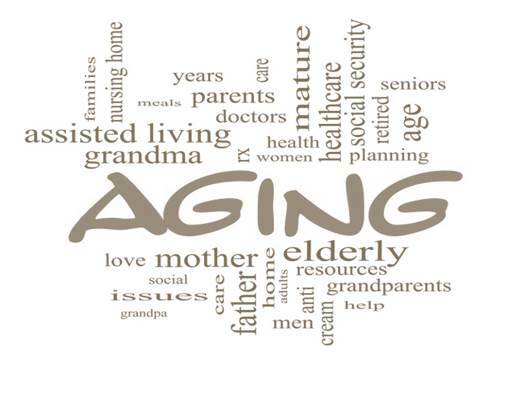 For many elder law issues involving older adults and their family members or close friends, the older adult (and likely other family members) would prefer a less formal resolution to the issue than the adversarial process in court and the ‘zero-sum’ game result of a formal judgment. Do I Need an Lawyer to Participate in Dispute Resolution? In many processes, you are not required to have a lawyer to participate. In cases where the court or judge has referred the case to a dispute resolution process, lawyers often participate. The role of a lawyer in a dispute resolution process varies depending upon the nature of the dispute and the type of dispute resolution process. In many dispute resolution processes, lawyers accompany their clients and participate either as counselors or as advocates. a process by which an impartial third party meets with the parties to a dispute in order to help them settle their differences. 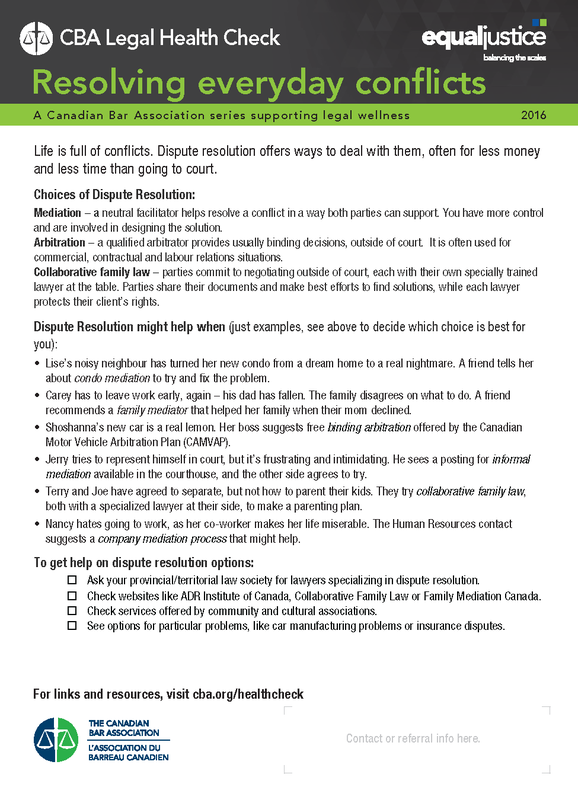 From the BC Law Institute Report – Elder and Guardianship Mediation 2012. Elder mediation may be understood as the mediation of disputes arising in the context of aging. One or more of the parties will be an older adult or the issues in dispute will be ones of particular significance to older adults: e.g., estate planning, powers of attorney, caregivers (who, when, where, how much care, respite care, etc. ), lifestyle choices, independence and self-determination vs. safety concerns. The issues and parties are often intra-familial, but can involve third parties such as housing providers. Elder mediation tends to be multi-partite and involve family and inter-generational dynamics. It requires a particular degree of sensitivity and skill on the part of mediators. how can vulnerable persons be protected from harm in mediation sessions if there is an imbalance of power? Mediate BC provides ‘civil mediation’ (defined by them as mediation of any kind of dispute except for “family”, Child Protection and criminal matters). It can be used for a very wide range of conflicts including disputes between neighbours, workplace conflict, commercial and business disputes etc. Mediate BC’s Court Mediation Program offers free mediation in five registries of the Provincial Court of BC. Click here for more information. The Ministry of Justice’s Dispute Resolution Office (DRO) develops and implements dispute resolution services. Their website includes a webpage that is a Guide to Mediation in BC. The Civil Resolution Tribunal (“CRT”) will provide an online forum for the resolution of a wide variety of strata property disputes and small claims matters when it is operational in 2016/17. The CRT will become the first step for people with small claims and many types of strata disputes. People will have, however, the right to request that a court hear their matter. 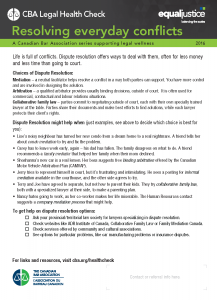 The CRT will encourage people to use a broad range of collaborative dispute resolution tools to resolve their disputes as early as possible, while still preserving adjudication as a last resort. It is intended to encourage a collaborative, problem-solving approach to dispute resolution, rather than the traditional adversarial litigation model. For more information, see our Civil Resolution Tribunal page, and the website of the CRT at Civil Resolution Tribunal. experts such as geriatric psychiatrists, accountants, etc. may be engaged jointly or individually to aid in coming to a mutually acceptable resolution of the dispute. This use of specialists, without duplication of efforts can result in cost savings. Agreeing to keep the matter out of court if at all possible, and to share all relevant information and documents can also mean substantial savings. With a collaborative approach, all family members can be educated about the different financial and legal options available. Some family members will have differing ideas about how the older adult should be best cared for. In a collaborative setting there is the opportunity for more communication and sharing of information than traditional litigation, so hopefully family harmony can be preserved, conflict and resentment can be minimized if not avoided. The parties will have more control over the process than in court. Most importantly it can provide greater privacy and dignity for the older adult than the litigation route.